Washington, DC—Opioids are the mainstay treatment for cancer pain, but managing the opioid crisis in the United States requires an “all hands on deck” approach, according to Tonya Edwards, MS, MSN, FNP-C, Nurse Practitioner, Palliative Care and Rehabilitation Medicine, The University of Texas M.D. Anderson Cancer Center, Houston. “Our goal is to restore function and get patients as close as we can to the quality of life they had before their cancer. It is our moral obligation to help patients manage their pain. But now we need to make sure that we do it in a safe manner,” Ms Edwards said at the Oncology Nursing Society 2018 Congress. Chemical copers, a term coined by Eduardo Bruera, MD, and colleagues at the University of Alberta, Canada, are individuals who use excessive or inappropriate methods to handle the psychological or spiritual distress related to their cancer diagnosis (Bruera E, et al. J Pain Symptom Manage. 1995;10:599-603). Chemical coping does not always lead to addiction, but patients with cancer who do become addicted to opioids could eventually turn to illegal drugs, such as heroin. Once aberrant behavior is established, Ms Edwards advises maintaining a nonjudgmental approach. Foster open discussion and communicate any concerns about the patient’s safety in a calm manner. “We use verbal judo. We don’t ever escalate our voices so that they don’t escalate,” she explained. Limit opioid abuse by decreasing the time interval between follow-ups for refills, and set boundaries with patients. Taper off strong opioid analgesics if possible, and consider a referral to a specialist clinician. Importantly, be attentive to the behavior of patients, as the change from adherence to aberrancy may be subtle, she warned. Duration is the strongest predictor of opioid misuse, and it is vital for providers to communicate with other departments about writing and filling prescriptions for opioids (eg, pharmacy, psychiatry, emergency, nursing, oncology) so as not to let patients slip through the cracks. “Communication is a beautiful thing, and we stress that a lot in our clinic. The longer a patient is on pain medicine, the harder it is to come off of it and the more it’s going to predict issues later on, so we have to continue to be vigilant,” she said. The Compassionate High Alert Team (CHAT) program was co-developed by Ms Edwards and Suresh Reddy, MD, Director of Education, Department of Palliative Care, M.D. Anderson Cancer Center, with the goal of helping clinicians address opioid abuse among patients who are referred to the institution’s Supportive Care Center. 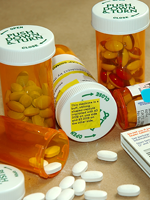 This intervention employs a concentrated, interprofessional approach to deliver comprehensive education about safe opioid use, longitudinal counseling, sensitive communication, frequent monitoring, structured opioid use documentation, personalized treatment recommendations, and logistical and caregiver support for patients at high risk for opioid misuse. CHAT members huddle before and debrief after each patient visit. The team collectively sees each patient at clinic visits until the patient is able to demonstrate compliance, and uses open communication and dialogue to show patients that they are concerned about their safety. According to Ms Edwards, good documentation is one of the keys to the team’s success. The team is composed of a palliative care physician and ≥2 members of the following: nurse, pharmacist, social worker, psychologist/counselor, and patient advocate, with or without a legal representative and/or security. According to Ms Edwards, nurses can often be the most powerful members of the team, because of their unique patient insight and feedback in the pre- and postvisit huddles. In addition to maximizing patient safety and function and decreasing the frequency of aberrant patient behaviors in their clinic, the CHAT intervention has created unity among the team members, which translates to less stress on each individual team member. It has decreased the need for calls of security caused by aggressive patients, and has also enhanced patient and family understanding of the rules regarding opioid use. Notably, Ms Edwards added, the program has contributed to a high level of consistency in patient care, and has improved the morale of a team working under highly stressful conditions.